The lentil (Lens culinaris) is an edible pulse, belonging to the legume family, grown for its lens-shaped seeds. Lentils are also one of the oldest known sources of food, dating back more than 9,000 years. Lentil colors range from yellow to red-orange to green, brown and black. The lentil (Lens culinaris) is an edible pulse, belonging to the legume family, grown for its lens-shaped seeds. Lentils are also one of the oldest known sources of food, dating back more than 9,000 years. Lentil colors range from yellow to red-orange to green, brown and black. Lentil recipes are used throughout South Asia, the Mediterranean regions, and West Asia. They are frequently combined with rice, which has a similar cooking duration. Its incredible health benefits are one of the reasons why this legume stood the test of time. Here are the 7 health benefits of the lentils. 1. Lentils are a packed with protein. Lentils hold the highest amount of protein originating from any plant. The amount of protein found in lentils is up to 35 percent, which is comparable to red meat, poultry, fish, and dairy products. Lentils contain all the essential amino acids that are needed by our body for good muscle-building. 2. Lentils may help prevent atherosclerosis. Studies have suggested that the consumption of lentils provides antioxidants that decreased the chances of developing atherosclerosis. These antioxidants also play a role in counteracting free radicals and preventing cell and gene damage (aging). 3. Lentils could help fight against cancer. 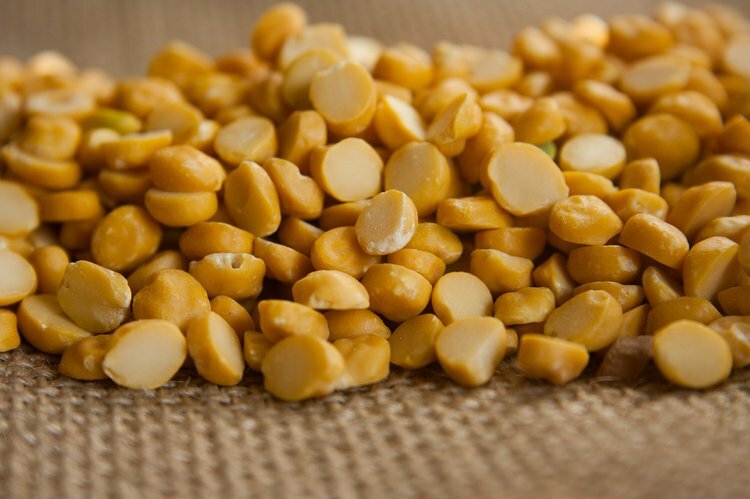 Research has shown that plant lectin, a type of plant protein originating from foods like lentils, wheat, peanuts, peas, and soybeans have a great influence on cancer cells. Also, lectins cause cell poisoning and cell death, which means that they have a high potential to control cancer growth. 4. Lentils are an excellent source of folate. Lentils are a decent source of B-vitamins like folate. Folate has shown to help in neural tube formation, red blood cell formation, and regulating homocysteine levels. 5. Lentils are an excellent source of iron. About 36 percent of the iron of the daily recommended value can come from eating one cup of lentils every day. Iron consumption is ideal for red blood cells and hemoglobin production. This can prevent anemia in some individuals. 6. Lentils can help improve cardiovascular activity. Lentils are an excellent source of potassium. High potassium with low sodium diets has shown to decrease the risk of hypertension. 7. Lentils can help boost the metabolism. Lentils contain many vitamins, including vitamin B3, which contributes in boosting the digestive and nervous systems. Vitamin B3 also plays a role in cholesterol control, a decreased risk of diseases like Alzheimer’s disease, cataracts, osteoarthritis, and diabetes. Bourre, J. M. (2006). Effects of nutrients (in food) on the structure and function of the nervous system: update on dietary requirements for brain. Part 2: macronutrients. The journal of nutrition, health & aging, 10(5), 386. Xu, B. J., Yuan, S. H., & Chang, S. K. C. (2007). Comparative Studies on the Antioxidant Activities of Nine Common Food Legumes Against Copper‐Induced Human Low‐Density Lipoprotein Oxidation In Vitro. Journal of food science, 72(7). De Mejía, E. G., & Prisecaru, V. I. (2005). Lectins as bioactive plant proteins: a potential in cancer treatment. Critical reviews in food science and nutrition, 45(6), 425-445. Duthie, S. J. (1999). Folic acid deficiency and cancer: mechanisms of DNA instability. British medical bulletin, 55(3), 578-592.